The Ford lineup of pickup truck models are ready to deliver workhorse performance. 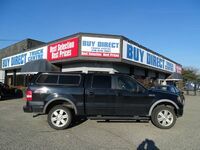 Car shoppers looking to get access to impressive pickup truck performance without a break-the-bank price will want to consider a used Ford F-150 in Kelowna BC. The Ford F-150 is more than just a bare-bones work truck. F-150 models offer all of the best comfort, safety and technology features Ford has developed. The F-150 also can be found equipped with multiple engine options from Ford’s EcoBoost lineup. These impressive engines turn in practical fuel economy ratings without sacrificing performance. The Ford F-150 is available with multiple bed lengths and cab options. Cab options include the regular, Supercab and Supercrew options. Depending on the trim level and model year, the F-150 will offer a different collection of features and systems. Ford F-150 models can be found equipped with a variety of technology features. 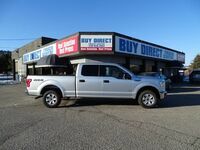 Features offered on current and past F-150 models include the SYNC3 touchscreen infotainment system, Apple CarPlay and Android Auto, Bluetooth, USB and auxiliary connectivity, satellite radio, LED bed lighting, leather-wrapped steering wheel, MyFord Touch interface, a sunroof and more. Safety is important for just about every driver. A variety of safety and driver assistance features can be found on the Ford F-150. Some of these systems included front and rear parking sensors, trailer brake controller, a rearview camera, 360-degree top-down camera, blind spot information system, forward collision warning, adaptive cruise control, rear cross-traffic alert and more. The lineup of engine options offered on the F-150 allow the truck to deliver both impressive performance and fuel economy ratings. The F-150 has delivered class-leading towing and hauling ratings. The EcoBoost engines offered on the truck offer turbocharged performance and practical fuel economy estimates. Regardless of the year, the Ford F-150 will be ready for just about any challenge owners can throw at it.